In MomenTUm we bring our academic ceremonies together in one big event. MomenTUm encompasses the anniversary of the university (Dies Natalis), the presentation of the honorary doctorate, the honoring of the best students and teachers of each year and the Bachelor's degree diploma ceremonies. 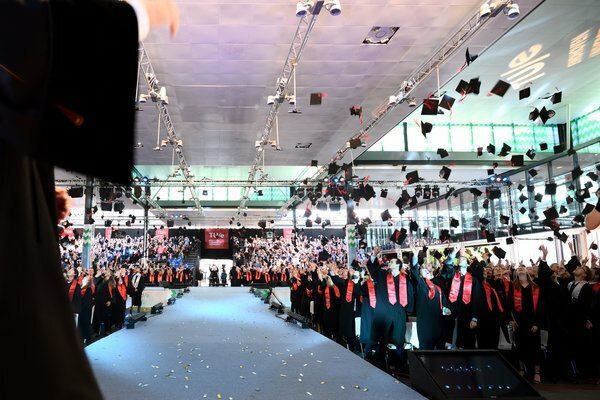 Each year there will be a festive ceremony with speakers, music and a catwalk full of students, along with eateries. Our alumni are on campus for an alumni event and in the evening there is a big student party. This year we will celebrate MomenTUm on Friday 27 September.